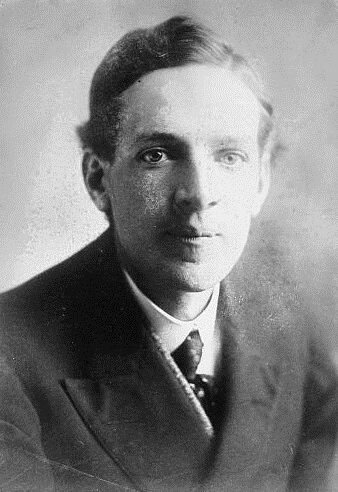 Upton Beall Sinclair, Jr. (1878 - 1968) was an American author who wrote close to one hundred novels in a variety of genres, including "muckraking" works (digging up and publishing scandalous information about famous people), most notably The Jungle (1906) which exposed grave labor and sanitary violations in Chicago's meat packing industry. A few months after it was published, Congress passed the Pure Food and Drug Act and Meat Inspection Act. In 1919, he published The Brass Check , an expose of American journalism, a critique of William Randolph Hearst's practices, and the limitations of the "free press." 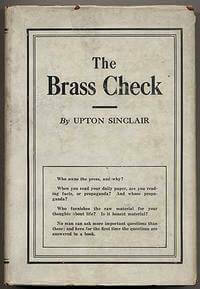 Four years after Sinclair's book was published, the first code of ethics for journalists was created. In his novel, The Moneychangers (1908), Sinclair tackled the Wall Street financial disaster of 1907, in which his character clearly based on J.P. Morgan, is responsible for the insider trading corruption that brought down the U.S. Stock Market. The novel may have helped accelerate passage of the Federal Reserve Act of 1913. Sinclair won the Pulitzer Prize for Fiction in 1943 for Dragon's Teeth . We feature him in Pulitzer Prize Winners. As an outspoken socialist, Sinclair attempted unsuccessfully to bridge his literary success into the political arena. He lost a Congressional election as the Socialist Party candidate, and also his bid as the Democratic Party candidate for Governor of California during the Great Depression, during which he promoted the "End Poverty in California" campaign. Sinclair's legacy is promoting social justice and public policy changes as a direct result of his published works. You may also be interested in another leading muckracker and pioneer of investigative journalism, Ida Tarbell. Sinclair was passionate about health and nutrition, advocated fasting and embraced a raw foods diet. His book, The Fasting Cure was a best seller, published in 1911.